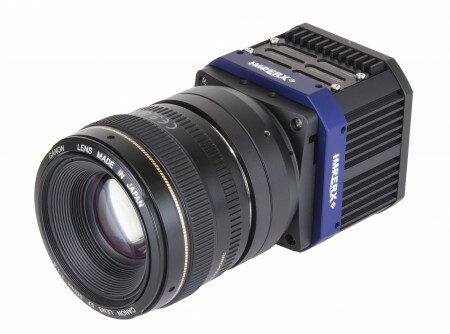 IMPERX introduces the new Tiger series of cameras to its line of advanced digital CCD cameras. Like the Bobcat series of cameras, the Tiger series offers a variety of models, high quality digital images, flexibility, and dependability. At the same time, the Tiger series offers several improvements and new capabilities. Tiger series of cameras are programmable, high quality, low noise, CCD cameras with a high-density FPGA for programmable features. They include 8, 10, 12 or 14-bit output and compatibility with popular output interfaces. IMPERX CCD cameras are fully programmable using the easy-to-use IMPERX camera configuration software. The cameras provide many ways to trigger the camera and synchronize it to external lighting, events or other cameras. The remarkable Tiger cameras use larger, faster sensors (4/3” to 57mm optical formats) and advanced processing technology to meet ever more demanding applications. Camera resolutions include 47, 29, 16, 8.6, 8, and 4 megapixels and offer a broad range of frame rates.